Your nose is stuffed up. You have a fever, a headache and your body aches all over. And you’ve felt crummy for what seems like forever. You have a cold. So what’s a cold and what’s the best way to cope with the symptoms while you recover? NOT the flu (influenza). Influenza hits you with severe body aches, high fever, headache, bad cough and feeling like you can’t crawl out of bed. Caused by a wide array of viruses. It can last anywhere from 10 to 21 days, depending on the virus. You can be infected with two or even three viruses at the same time. Also, that cold that seems to last forever actually may be back-to-back infections. More common in parents of children in day care or preschool or others in contact with children, such as grandparents and teachers. Transmitted most often by coming in contact with an infected person — or something they’ve touched. Hand-to-hand transmission is more common than catching a cold from someone coughing or sneezing. The best way to treat a cold is not to get one! That means during cold season, wash your hands and/or use a hand sanitizer and stay away from those who are sick. Avoid touching your face, since your eyes, nose and mouth are easy entry points for viruses that you pick up on your hands. Stay home from work if you’re constantly blowing your nose and coughing. 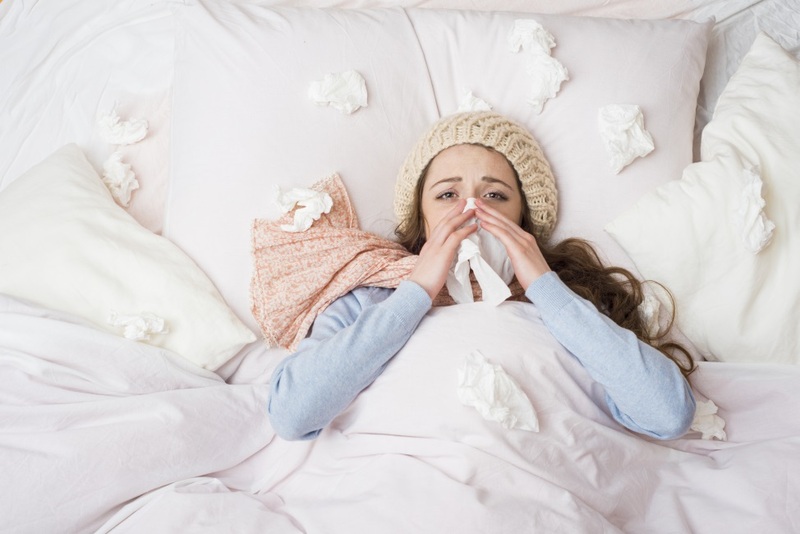 You’re contagious for three to seven days after you come down with a cold. To reduce post-nasal drip and runny nose, take a combination antihistamine/decongestant such as Sudafed PR Sinus + Allergy. Choose a medication that doesn’t contain acetaminophen; it’s better to take that separately. This remedy may make you drowsy, but the “non-drowsy” antihistamines (Claritin, Allegra, Zyrtec, etc.) are not as effective for drainage from a cold. For more serious congestion in your nose, sinuses or ears, use Afrin nasal spray, which is more effective than Sudafed. But use it NO LONGER than three to five days. To relieve a cough, try an OTC cough medicine. For a more severe cough, talk with your care team about getting a prescription cough syrup that contains codeine and/or Phenergan (promethazine).